During the offseason here at Redleg Nation I only write a minor league column once every two weeks. Sometimes they are better than others. I can’t tell you how good this one is going to be, because it’s going to be up to you. But I can tell you that I really enjoyed what went into writing it. As I’m sure you’ve seen many times, and in many places both here on these pages, or on the various social media accounts of many of the writers at Redleg Nation (including my own), we aren’t generally fans of the bunt. I won’t pretend to speak for them beyond that, but I will speak for myself. It’s not the bunt that is the problem. It’s the idea that you are purposefully trying to make an out via the bunt that gets the “bunts are stupid” proclamations. When players bunt with the purpose of trying to get a hit, it’s a very different strategy. And all of that brings us to the subject of this article: TJ Friedl. The Reds picked up the outfielder after the 2016 draft as an undrafted free agent. Some teams didn’t realize he was draft eligible, though some did and didn’t select him despite the fact that he hit over .400 that season as a redshirt sophomore. He went to play for Team USA and that’s when he caught the eyes of just about everyone and the secret got out to those who didn’t already know – he was eligible to sign with the highest bidder. That year it just so happened to be that the Cincinnati Reds had more money in their draft budget than anyone else, and they used it to bring the now former Nevada Wolf Pack outfielder into the fold. One of the big aspects in his game is that TJ Friedl is very fast. He’s not quite Billy Hamilton fast, but he’s a plus runner who can use his speed well. As a left handed hitter he’s able to get down the line to first base very quickly and can be a problem for infielders on balls that aren’t hit right to them. But he’s also an excellent bunter. Just how good is TJ Friedl at bunting? Well, if the numbers tell us anything, he’s very, very good at it. Before diving into Friedl’s numbers, let’s take a look at some Major Leaguers. From 2016-2018 there were only 16 hitters who collected 15 bunt hits. Before I started writing this article if you had told me that I wouldn’t have believed you. If you had told me that only four players had more than 18 bunt hits in that span I REALLY wouldn’t have believed you. But both of those facts are true according to Fangraphs batted ball data. The chart above is sorted by highest-to-lowest bunt hit percentage. While Gerardo Parra tops the list, Cesar Hernandez had more than twice as many bunt hits in the same span and was successful at a 55.2% rate. That’s far more impressive to me. Now that we’ve established what is happening with regards to bunts at the Major League level among the guys with the most bunt hits, and how often they are successful with them, let’s look back to the minors and TJ Friedl. Let’s first start out by noting that the Major League season is longer than the minors by a month. And that TJ Frield didn’t begin playing professionally until July 2016 – half way through the year. Since he was drafted, Friedl has attempted to bunt 75 times. Of those 75 bunts he’s gotten down that results in the end of a plate appearance, 44 of them were hits. That’s good for a Bunt Hit Rate of 58.7%. Comparing that with the Major League numbers above, it would have been the second highest rate in baseball among players who actually bunted with any sort of frequency. But it’s not just the success rate, but also how often he was bunting. His 44 hits would easily top the chart above. And it wouldn’t be remotely close. If you want to break down his bunts, a clear trend shows up: The pitcher and third baseman field almost all of them. The pitcher fielded 35 of the 75 bunts he made over the last three seasons. It was the third baseman who fielded another 24 of the bunts. That’s 59 bunts to those two positions, with just 16 being fielded by the catcher (7), first baseman (6), or second baseman (3). In the video above you can see one of his bunts that found it’s way to the first baseman. Spoiler alert: It was a hit. I don’t want to say that TJ Friedl is the bunt king. Minor League defenses aren’t quite as good as Major League defenses. And Minor League fields aren’t quite Major League ones, either. But if there’s one thing I feel confident saying, it’s that TJ Friedl has been very, very good at bunting for base hits as a professional. Thanks, Doug. Good and interesting column. The Douger never ceases to amaze with his fact-finding and keen insight into the Reds. His columns are a joy to read. In keeping with the Rougned Odor family tradition, Douglas is changed to a name starting with R. Hence the Douger is the Rouger. My apologies, I had to look up Rougned Odor when it appeared above, as I don’t know much about him (junior circuit). Great stuff Doug. It does make you wonder though – if hitting a round ball going 90 miles an hour with a round bat is the toughest trick in sport, and bunting makes that easier (with only one of the round objects really moving much) how is it that so many professional hitters (cough, BHam, cough) are so bad at It? This seems like a skill that should be pretty easy to teach. So is Friedl and his bunting prowess steadily working his way to Cincinnati? Or at least to becoming an important prospect with value in a trade? Because it’s not easy to do at all. I doubt Friedl has a lot of trade value. He’d be a good “toss in to add some value” guy, but he’s not someone that is going to bring back a guy that will make a difference. I’ve wondered for the past few years if Billy was almost TOO fast to learn to bunt. Bunting is still really hard. And I have to believe that someone with Billy’s speed could probably beat out nearly everything he hit on the left side of the infield on the ground until he was, what, low minor leagues? He could probably get a double on nearly everything not hit directly to an outfielder. So there was never any incentive to actually practice bunting until he was, what, 18-19-20? Hamilton has played in six major league seasons. I haven’t seen a single instance of improvement in any aspect of his game since 2013. Including bunting. I’ve read plenty of articles about how he’s worked on it, though. New guru every winter. Never changes. Ah, but better times are coming! Celebrated new hitting coach will teach him to bunt and hit with aplomb. Our universal discouragement will be transformed into delight. Billy needs to stop bunting, he is horrible at it. the fake bunt usually costs him 2 strikes. New hitting coach could get some value out of Billy by having him hit from just one side of the plate. He has such bad strike zone management that he needs to view pitches from one side of the plate only and focus on that with no bunting. I think if he did those things, and was properly platooned, he could hit 240-250. If we are being REALLY generous, his walk rate improved from 5.6% as a rookie to 8.3% last year, but the flip side seems to be it only increased because he swung and missed more, resulting in longer plate appearances. Billy’s biggest issue in bunting is not his speed but the fact that he does not square around and get planted while bunting, he is usually pulling away from the ball (when batting left handed or trying to get moving towards first too soon batting right handed. The issue is either teachability or coaching, personally I think it is the former. And after six years, he is not going to suddenly get it. If he is a late-inning pinch runner, he is on base once per game. If he bats four times with an OBP of 0.025, he is on base once per game. The advantage of the first approach is that the manager can select when Billy gets his one time on base. Very interesting. I think one could plausibly argue he would be an upgrade over Hamilton RIGHT NOW. Then again, who isn’t. I’m not a B-Ham fan, but I’m curious what that plausible argument work look like, because I don’t see it. TJ’s bat may or may not be a marginal improvement, but there is no doubt Hamilton’s defense and baserunning is better. Watch that You Tube video, and you’ll see a hitter with a much better swing and approach than Hamilton. Note that his stride never varies, even against lefites. Friedl is an infinitely better bunter. Friedl has a career MiLB walk rate north of 10% and a strikeout rate of about 18%. He just turned 23, and he maintains his general statistical level as he moves up the ladder. No, Friedl isn’t as good a baserunner as Hamilton (who is? ), but he is fast enough to have gotten 30 bags last year, and has the great baserunning advantage over Hamilton of actually being able to become a baserunner. And no, he won’t be as good as Hamilton defensively, but he is good enough. I believe that if both had 500 ABs in the majors next year, Friedl would have a better offensive year than Hamilton, and I don’t think it would be particularly close. And he would cost about $5 million less than Hamilton. Man, talk about moving goal posts…I didn’t realize we were discussing who was the better hitter or the better value. I thought we were discussing whether TJ Friedl was an upgrade over Billy Hamilton right now. Yes, if we disregard all the stuff that makes Hamilton a MLB player, then TJ Friedl’s is better (I guess, assuming low-to-mid A ball numbers translate directly to MLB numbers, which is dubious). Note: Friedl’s walk rate is 1) below 10% for his career; 2) below Billy Hamilton’s walk rate at the same stage of his career (10.3% versus 9.84%). That said, I’m not convinced B-Ham from 2019 to the end of his career won’t out-WAR TJ Friedl for the rest of his career. I’m not a fan of Billy and I hope he isn’t a Red in the near future, but TJ Friedl looks like a 4th or 5th OF type. 4th or 5th OF-types are lucky to even put up 4 WAR in their entire career. The truth is that teams would be knocking down the Reds door to get TJ Friedl if they felt he could outproduce a guy like Billy Hamilton. But like Doug posted above, TJ’s trade value isn’t very high. I guess we’ll see if T.J. Friedl can bring his game to the next level this coming season. Billy Hamilton couldn’t. Hamilton hasn’t hit a lick in the 6 seasons since that point in his career. If Friedl can maintain his ~10% BB rate going forward, do an average job of fielding CF, and swipe 20 bags a season he’ll be the CF lead off hitter we all dreamed Billy Hamilton’s floor would be. I hope Friedl does too…I’m not sure if he is really a leadoff type in today’s MLB, but it’d be nice for the organization to hit on a guy like him for once. Hamilton was misused a lot during his time in Cincinnati, but he did manage to put up 10+ WAR during that time. Disappointing, but he wasn’t a complete bust. Interesting analysis on a hot topic here. I’m curious what Billy’s minor league numbers were, to get a sense of the difference in pitching/fielding between minors/majors. really good article Doug. How close to the majors do you think Friedl is? One year away, two years away or he won’t make it as a starter? Very good read. Now I wonder if we get to see a little bit of TJ this season or next. How is his defense overall? Friedl did well at AA. Thats not far away. He hit for avg…got on base and plays CF with good speed. His power is very poor but in a changed organization with a new manager , he could easily be in the outfield mix used strategically. With Ken Rosenthal reporting Castellini has finally given the green light to trade Hamilton…. Full steam ahead. Friedl was named by BA as having the best tool for plate discipline in the FSL. He’s advancing as fast as any player not named Senzel. Doug Gray, thanks for the article about Friedl. Does he get many xbase hits? With his speed, I would think he’s always a threat for a 2b. With that plus his defensive skills, I have to think he’d be at least an asset as a 4th OF and a late inning pinch hitter. I hope the Reds give him a chance. I know they’ve got Trammel and Siri coming up but Friedl deserves a serious look in my view. If I’m the Reds FO, I have him show Billy how he (Friedl) does it this spring training with his hunting skills. Can’t hurt can it?. TJ is probably a better hunter than Billy, too. The kickback would knock Billy down. With proper shooting technique, he’d remain standing. The contest would be decided by who had more stealth, knowledge of the quarry, calmness and marksmanship. Bunting skills would be irrelevant. Does anyone else feel any comparison to Ryan Freel? Freel was not the most talented, toolsy ballplayer, but for 6 seasons, his reputation and contributions far exceeded his pure talent, with 9+ WAR over just 3 full-time seasons. 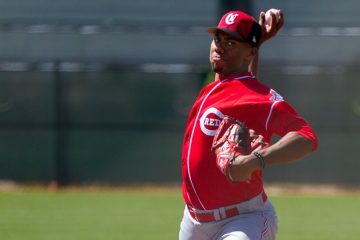 TJ will never compare with the pure talent and toolsiness of Trammell & Siri, but players like TJ, Siani or Fairchild could be serious contributors for the Reds and TJ’s time could come as soon as the 2019 season. Or Brett Gardner, who is listed as 5’11” 195 now but was lighter 12 years if I recall correctly. Gardner and Friedl both split their age 22 seasons between A+ and AA, with Gardner having an OPS of .851 in A+ and then .670 in AA. Friedl had an OPS of .817 at Daytona and .719 at Pensacola. Gardner stole a 58 bases to Friedl’s 30, and had a better strikeout rate, but they are pretty comparable so far. I was trying to think of a player to compare TJ to, I think you hit on the head with the Freel comparison. Good luck circumstances brought TJ Friedl to the Reds. There wasn’t much of that going around in 2016. But their was good luck in bringing in good young future talent into the system in 2016. Got Senzel and Trammell in the draft and Friedl just afterwards. The Reds also selected Scott Moss, Ryan Hendrix, Tyler Mondile, Nick Hanson and Chris Okey in that draft. I believe the Reds also got that Cuban SS, Jose Garcia, in 2016. The 2016 draft and signings were very notable. The 2016 year brought in some serious young talent and kick-started the rebuild after it was dragged down by the Chapman trade debacle. The Frazier-Cueto-Leake trades were more about getting ML ready players and not about future talent acquisitions. The 2016 trade of Jay Bruce and should-of-been-traded Zack Cozart could have really added more to the young talent coffers had they been handled right in 2016. At the ML level, 2016 was a miserable year. But down on the farm, 2016 was maybe the best year ever the Reds have had in acquiring good young talent and getting future Major Leaguers. Don’t discount Friedl. I think the Reds would be fine with trading Siri this winter knowing they also have Friedl. If none get traded this winter, a Friedl-Siri-Trammell outfield in AA Chattanooga will be fun to watch progress next season. Friedl hit .276/.359/.360/.719 in 296 PA at AA last season. I see him starting the year out at AAA Louisville. I love the idea of bunting for a hit (instead of the sac bunt) but IÃ¢â‚¬â„¢ll add these thoughts. -Steal attempts with one out and best hitter up also are foolish, slightly less so. Taken together, due to roster composition and lack of baserunning skills league wide in todayÃ¢â‚¬â„¢s game, the moments where bunting for a hit are valuable just do not present themselves as often from an analytic perspective. I love TJ Friedl, and wish him the best, though. You are confusing SLG with ISO and discounting the value of avoiding outs and getting on base, in any situation. You are also lumping ineffective bunting with what we see in the game today. A 50% successful bunting produces a .500 AVG, a .500 OBP & a .500 SLG. That’s a 1.000 OPS and those numbers produce success no matter how they are produced. It also produces a .000 ISO. A runner on any base, should advance on a well-executed bunt 100% of the time, even from 3B. Unfortunately, what we have seen is degenerative bunting and poorly executed bunts. A hitter can not and should not bunt all the time, the majority of the time or even routinely. but a well-executed offensive bunt can be a valuable weapon in any situation, just like beating the shift by cueing a ball where they ain’t. In order to be a successful bunter, a batter must also be able to hit successfully or the batter faces a Hamilton situation where the defensive shift simply takes away the bunt as a weapon, no matter how fast the batter can run. It seems to me that bunting for a hit is pretty equivalent to drawing a walk, and we all recognize the value in that. Getting people on base is good. Looking at his minor league stats, he’s held up pretty well. His OPS has suffered in the 2nd half of each season, but also corresponds to moving up from A to A+ then A+ to A++. As he adds bulk and strength, he’ll hold up better as the season wears on. I think he could be a very good player at the MLB level eventually. With speed and as he gets stronger. His BB/K ratio is about .5 which strikes me as pretty good, also better before he’s promoted showing that it takes a bit to adapt. Wouldn’t surprise me to see him in one of the OF positions by 2020. The Reds are having some serious conversations with the Indians for one of their 4 starting pitchers not named Bieber. Kluber has 3 years left, Carrasco and Bauer have 2 years each, and Clevinger has 4 years. Getting Kluber would be about the equivalent of getting Tom Seaver back in 1977. I just wonder – it seems pitchers wear their arms out quicker these days. That’s my worry with him. How about Iggy/Garrett/Hamilton. Would that be enough do ya think? Cleveland isn’t looking to rebuild, they want to cash in starter for high end long term cost controlled positions players who can play now. In 2012, Hamilton split the season between A+ & AA, recording his preeminent season in baseball with a 128 wRC+ in both A+ & AA. Hamilton’s offensive results were driven by an unfathomable .404 BABIP in A+ and .371 BABIP in AA. In 2018, Friedl split the season between A+ and AA, recording a 141 wRC+ with a .350 BABIP in A+ & a 108 wRC+ with a .345 BABIP in AA. The only material difference between Hamilton’s 2012 season and Friedl’s 2018 season was the BABIP. TJ Friedl is not MLB-ready and certainly has not proven himself as MLB capable. 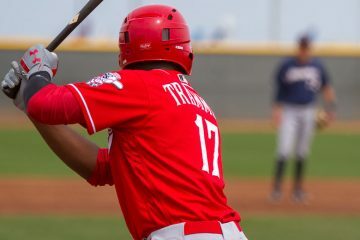 Promoting TJ Friedl to a starting CF role for the Reds on opening day 2019 would be tantamount to promoting Billy Hamilton to a starting CF role for the Reds on opening day 2014 after Hamilton produced an 82 wRC+ at AAA in 2013. Cossack: Do you think that BABIP is explained by Billy’s speed? It seems logical, particularly in the minors. In the minors, yes. Pitchers were afraid of putting Hamilton on base and being embarrassed by contributing to his stolen base records. Hamilton simply didn’t have to worry about a wipeout slider, so he concentrated on hitting fast balls. That changed dramatically in AAA where he faced mature pitchers, skilled fielders and scouting reports. One-dimensional baseball players simply don’t succeed. The same thing happens to hitters with prodigious power but no hit tool. It wasn’t so much Hamilton’s speed as identifying and exploiting his weakness to neutralize his speed. Written in Forbes by an old-school CLE sports writer, who presumably got the package from off-the-record talks with someone in Indians front office. So, using that as a blueprint…. Kluber for Senzel, Iglesias and Trammell. To me, this would be foolishness of the highest order, if that is the deal. What do the Indians know about Kluber (age 33 in 2019), literally like the Votto of that team in terms of long-term presence, to let him go? The prospect trade package would be a little less for Carrasco or Bauer with 2 years left. Clevinger with 4 years left may also be a little less than for Kluber. Kluber is going to be 33 next year and that causes some concern. Therein lies the trepidation. But looking over his career stats, he hasn’t really lost any velocity on his pitches since his first year. The velocities have remained fairly the same over the years on all his pitches. There are no glaring red flags warnings. Any of those 4 Cleveland pitchers would make for a nice addition to Cincinnati’s rotation though. They are looking to deal one. They have Anderson returning from TJ surgery in 2019, they have Beiber installed now in the rotation and McKensie will be at AAA a phone call away. They have room to trade one and still contend for a pennant. The Indians have some holes to fill. Can the Reds help them fill those holes? Iglesias and David Hernandez for their bullpen. Jonathon India and take your pick prospect for the future. It might have to end up being Tony Santillan. So that would be the Reds #4 and #5 prospects. A first round pick and a second round pick. Getting the LH hitting Schebler for their OF would be a nice fit. Iglesias to pair with Brad Hand at the end of their bullpen would be enormous. Hernandez would slot in the 7th – 8th inning roles very well, a place Cleveland had big problems with last year. As for prospects, that would depend on what Cleveland has desires for. That could be a combination of 2 or 3 players in the Reds top-10 or top-12 prospects that don’t necessarily have Senzel, Greene or Trammell in it. Now, that type of package would be strictly for Kluber. The package would be a little less for one of the other 3 starters they have. Very interesting post-any thoughts as to what position (pitcher,3rd, or catcher) is most likely to throw the bunter out?